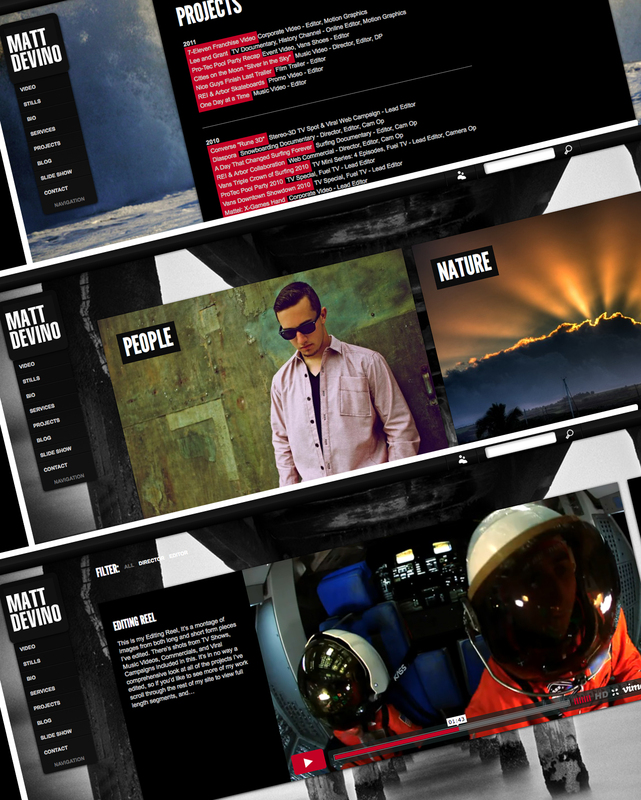 Media Parlour was happy to help our pal Matt Devino launch a sleek new online portfolio to showcase his demo reel, videos, and photos. This full-page design is a great canvas for Matt’s eye-catching photos, and the built-in Vimeo integration makes it super easy for Matt to update his portfolio on his own. He uses the blog frequently to update friends and client on his current projects (and it feeds directly to his Facebook Wall! ).